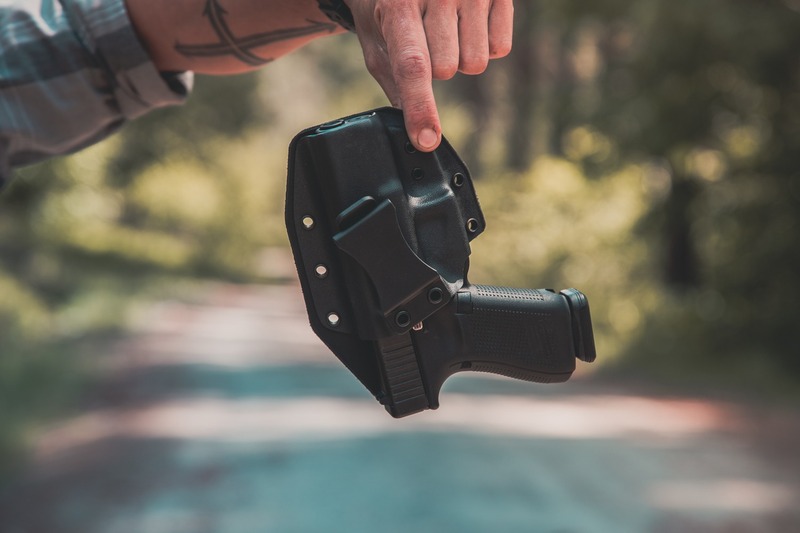 After years of requests from our customers to build a Hybrid IWB Holster, we decided to take the challenge of re-imagining Hybrid IWBs. 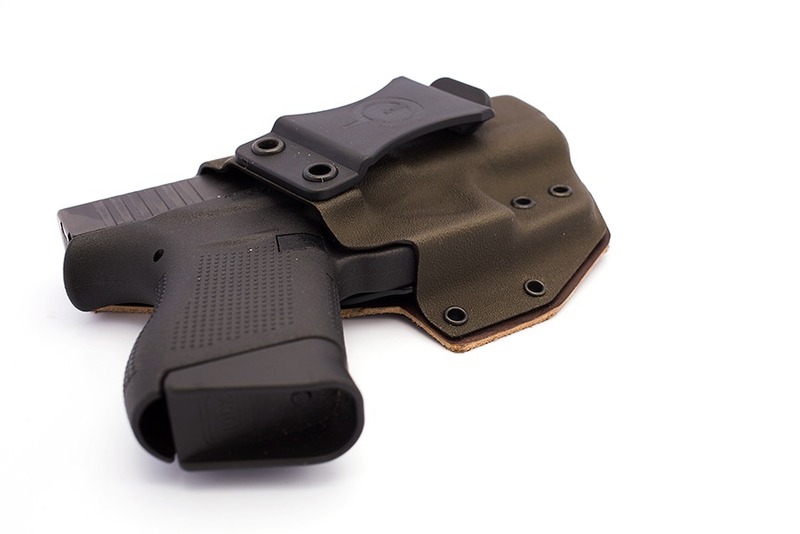 Traditionally Hybrid IWB holsters suffer from excessive bulk and inconsistent retention. 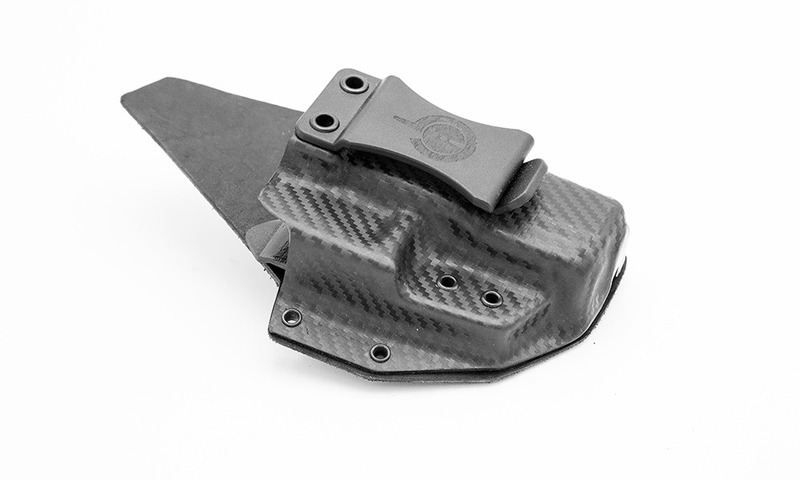 The Solace Hybrid IWB has addressed both those issues through CAD design and the inclusion of a inner retention tab, offering full kydex coverage of the trigger ON BOTH SIDES. 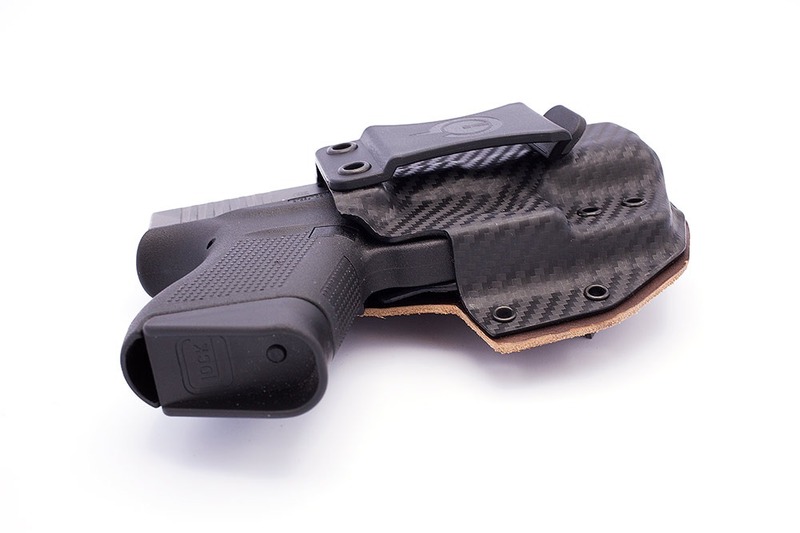 A truly custom Hybrid IWB. Each shell is carefully shaped to minimize the overall footprint. 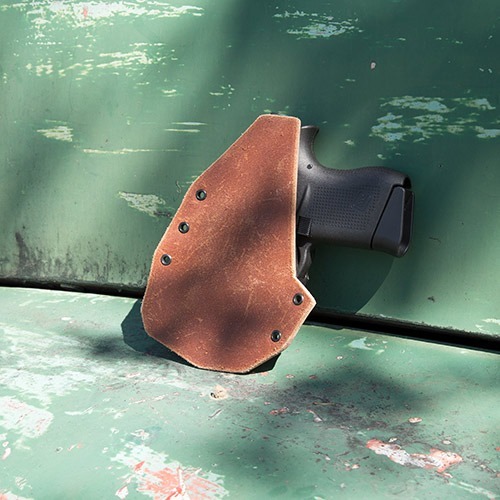 Each leather backer is hand trimmed and finished to perfectly match the contours of the holsters. Unique Hybrid Leather/Kydex design features full Kydex coverage of the trigger. 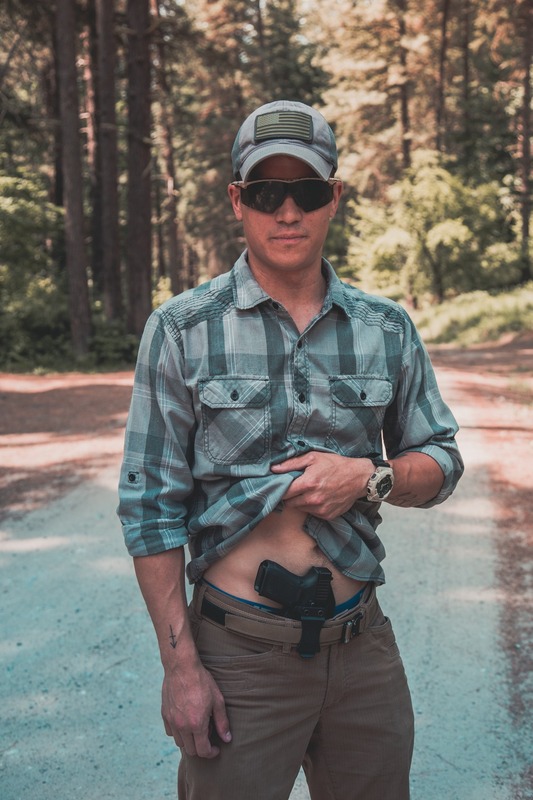 GunfightersINC makes, in my opinion, the best modern handgun holsters. 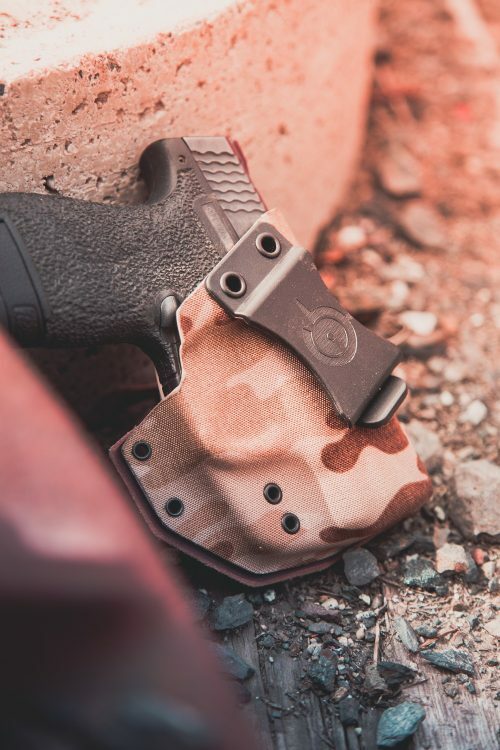 The Solace IWB is no exception…with one exception. 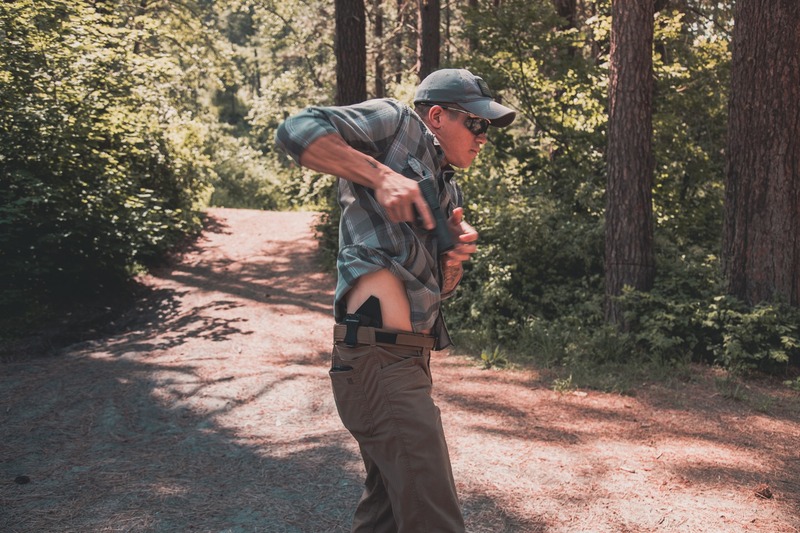 The Kenai chest holster is incredible in its own right, the Ronin 2.0 is flat out the best OWB holster I own, and this is my new favorite IWB, with a huge compliment and one relatively minor gripe. You can take a look at the description for its features, I won’t repeat the ones listed. I will, however, say I was pleasantly surprised by one that was not made (fully) known to me prior to purchase, and not-so-pleasantly surprised by another. Maybe this is perfectly clear to everyone else, but when I read that phrase, I originally presumed the outer Kydex that I could clearly see in pictures was providing said ‘full coverage’. Wrong. THERE IS A SECOND PIECE OF KYDEX BETWEEN THE LEATHER AND THE TRIGGER (look closely at the 360 video, it’s black). 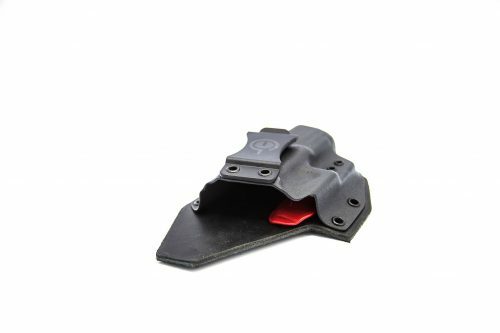 This is the money maker for this holster, and please allow me to explain why. 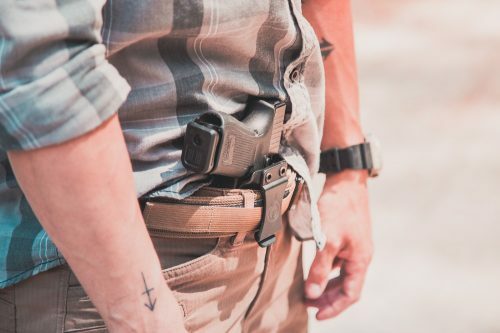 Literally every other Kydex/leather IWB combo holster I own relies on the pressure or “retention” created by your gun belt to properly hold the firearm in place. 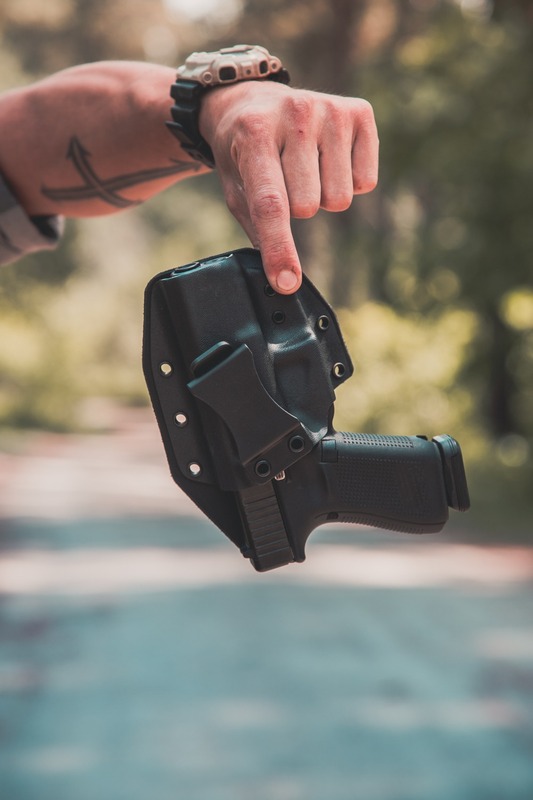 The Solace hybrid IWB adds a small, unobtrusive piece of Kydex on the body side (leather side), between the trigger guard and the leather, that quite literally snaps the firearm into place, leaving no doubt as to the guns security. I love a positive ‘click’ into a holster; this has it. 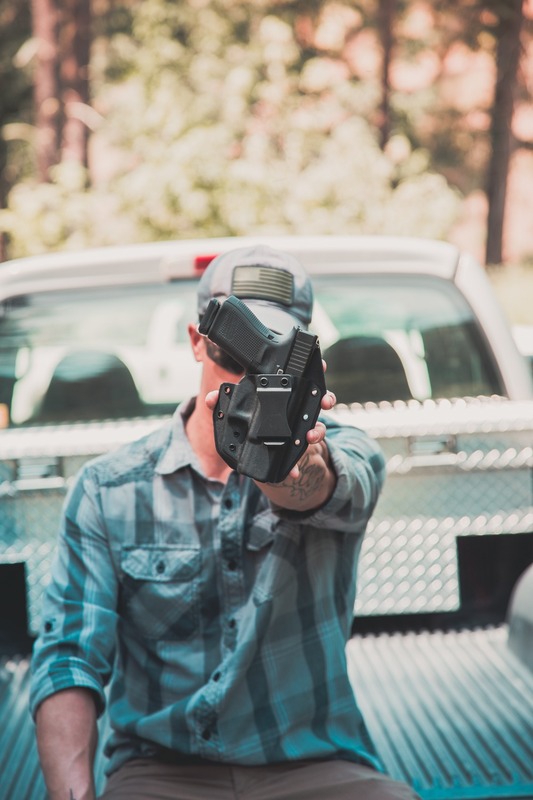 I think GunfightersINC has undersold this feature by not photographing/emphasizing it enough, so I wanted to mention it. I own a Ronin OWB, and I love the grip tape on the inner belt loops. 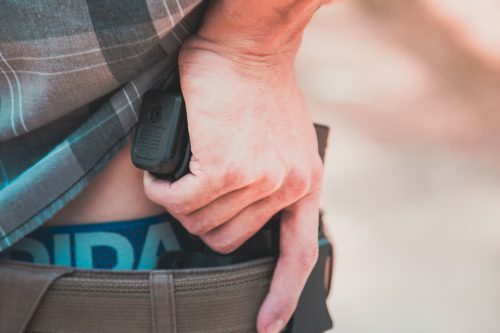 They hold the holster exactly where it’s placed, and the only thing the grip tape would scuff is the inside portion of your belt, where no one would see…so who cares. For some reason, unbeknownst to me, for the Solace they added grip tape to the underside of the belt clip. Okay, cool; extra hold, whatever. But slap that on a nice tan leather belt and you get permanent scuff marks on the outer, visible portion of the belt. Pretty upsetting after paying good money for a leather belt. 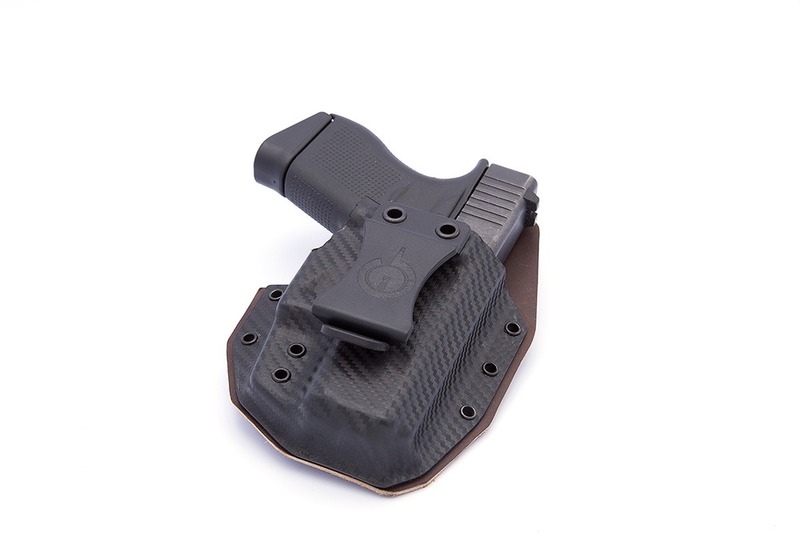 If they plan to continue adding the grip tape, I would humbly suggest leaving it off the holster, available to be added (or not), in the bag with the shipping contents. If the practice doesn’t change, I don’t think it would keep me from buying one again. It’s very easy to remove the tape with a pocket knife or similar tool, I just wish I had known it was there. 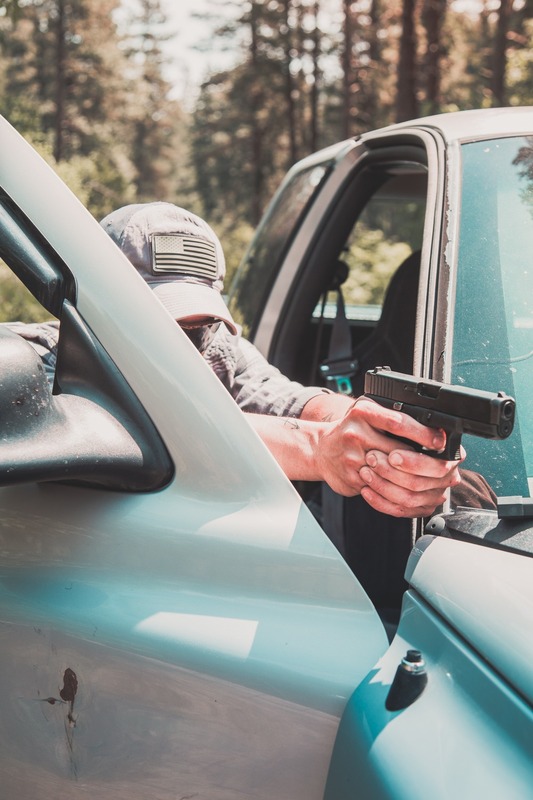 I never looked because it wasn’t mentioned, and is almost never on an IWB for the reason I mentioned. Ironically, underneath where the grip tape is placed is a raised portion of plastic with an American flag logo and a ‘Made in the USA’ stamp, which also adds to the grip of the belt clip, and best of all…leaves no marks. But that’s just me. Lastly, the leather does soften with use, but that’s a given–its how leather works. Feels great and well broken in (IMO) after about two weeks of regular wear, so don’t assume the initial slight stiffness is exactly how it will wear long-term. 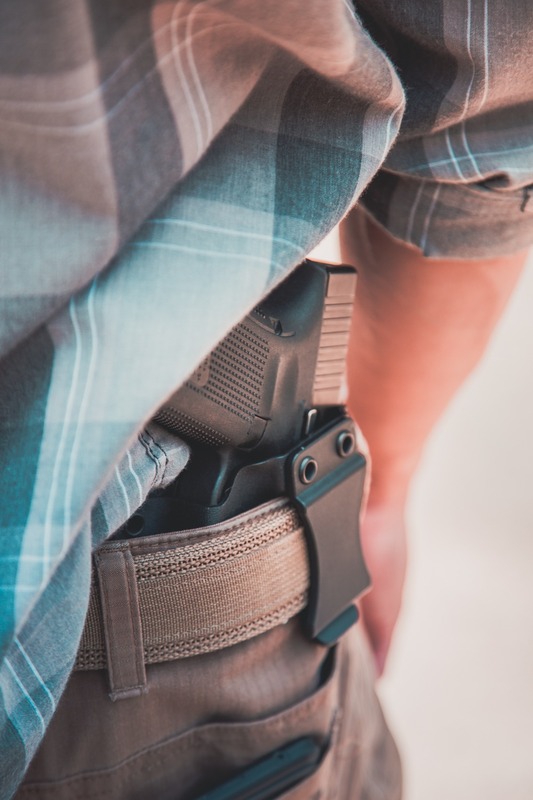 After a short break-in period, you have the holster you’re going to live with. That said, it is quite wearable out of the box/bag. 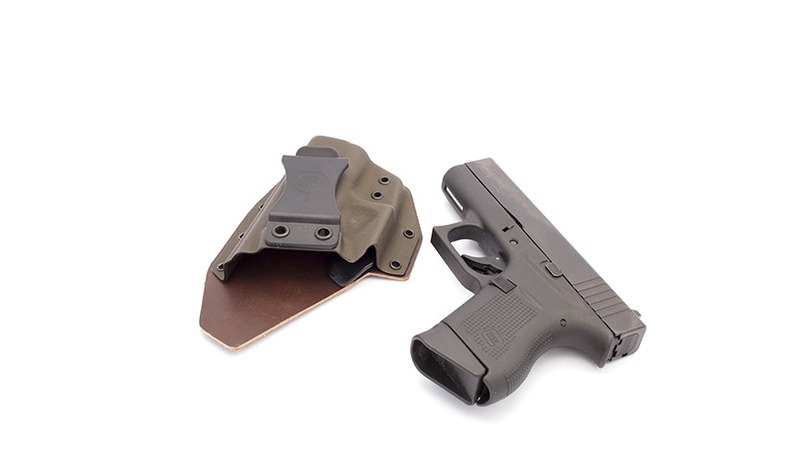 Great holster, definitely recommend, just wish they had told me about ALL the features prior to purchase. 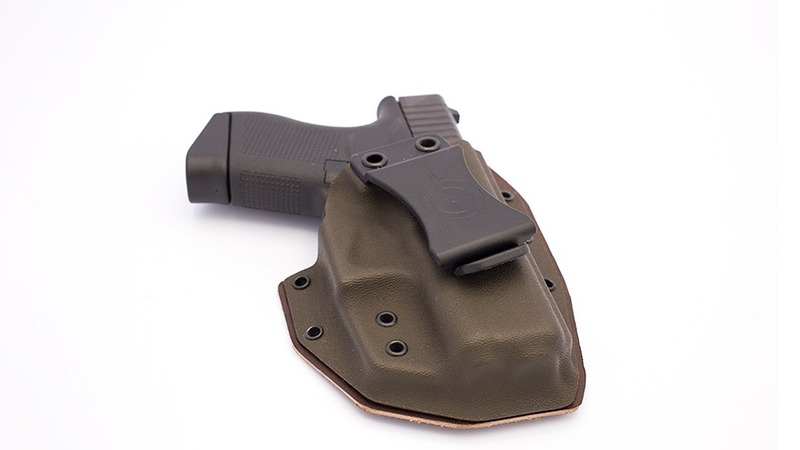 This is by far the best IWB holster I own! 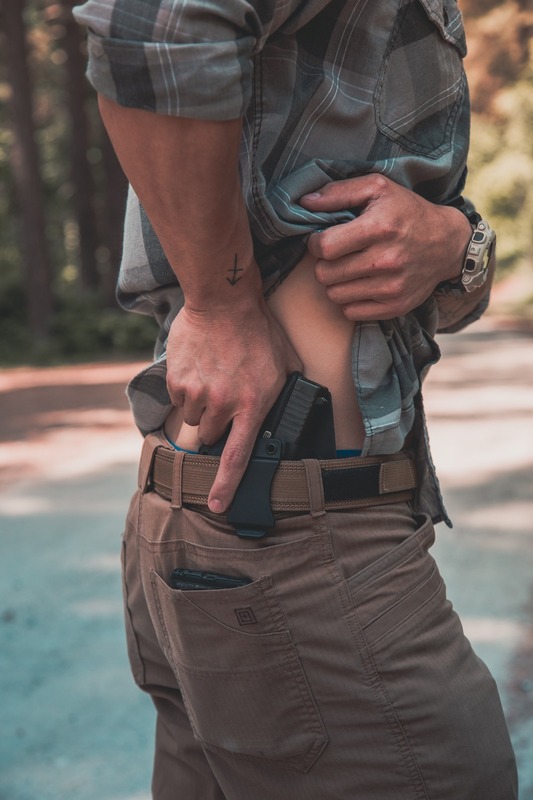 The click retention is asuring that my Glock 19 Gen 5 is secured. The leather on the body side is the best I have felt and makes comftable enough to keep it on my 3 and 4 o’clock while moving in and out of my car. Since I bought it at my local Skagit Arms for Chrismas I have only taken it off to sleep or shower. Gunfighter Inc thank you so very much for making a quality product. Happy New year to all of you! Been carrying a Solace for over 2 years now packing a Ruger LCR. 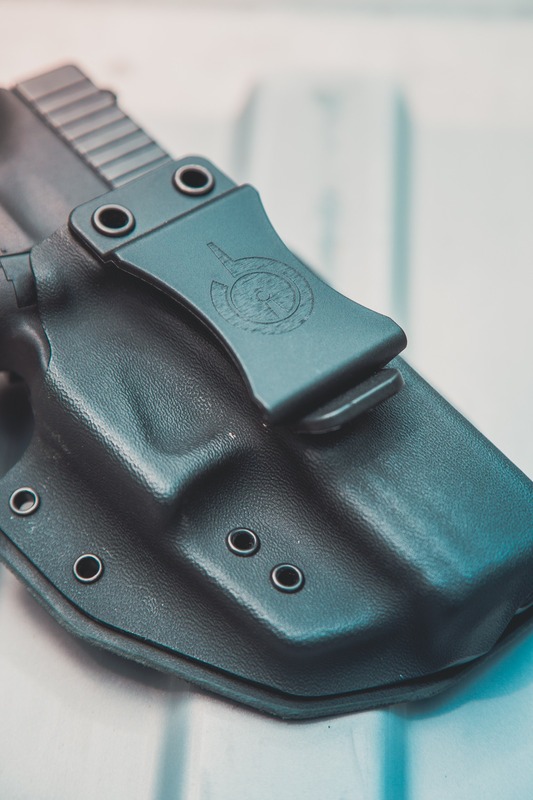 It rides easier and stays put better than any holster, Kydex or Leather, than I have worn in the past 50 or so years. I also have the Solace for my Glock 19 with the Solace IWB Mag Carrier. Don’t pack quiet as easy as the little revolver, but still a lot of firepower on my hip with nobody the wiser. The retention doesn’t change regardless of tension on the leather. 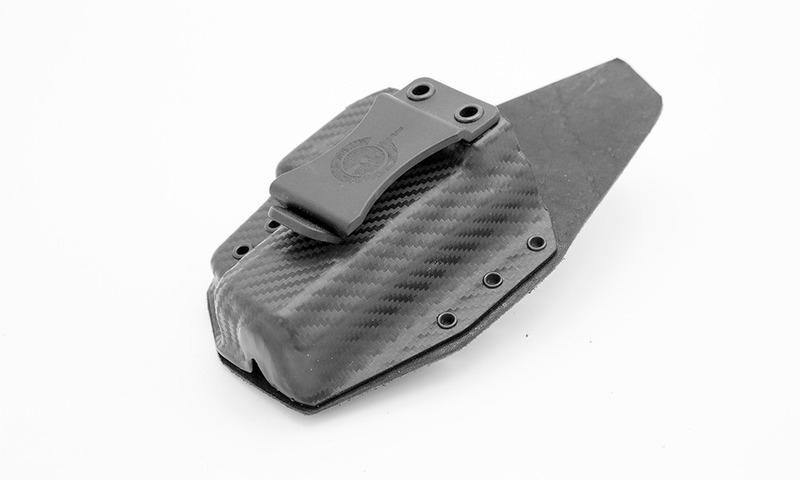 This allows the holster to have the crisp snap characteristics that all other GunfightersINC products have. 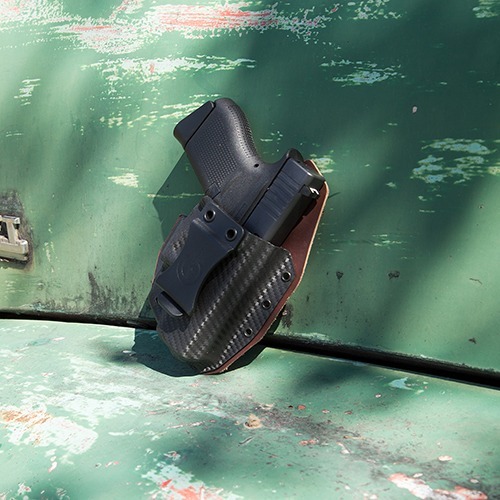 This eliminates the mushy and sticky feelings that many other Hybrid Holsters display. 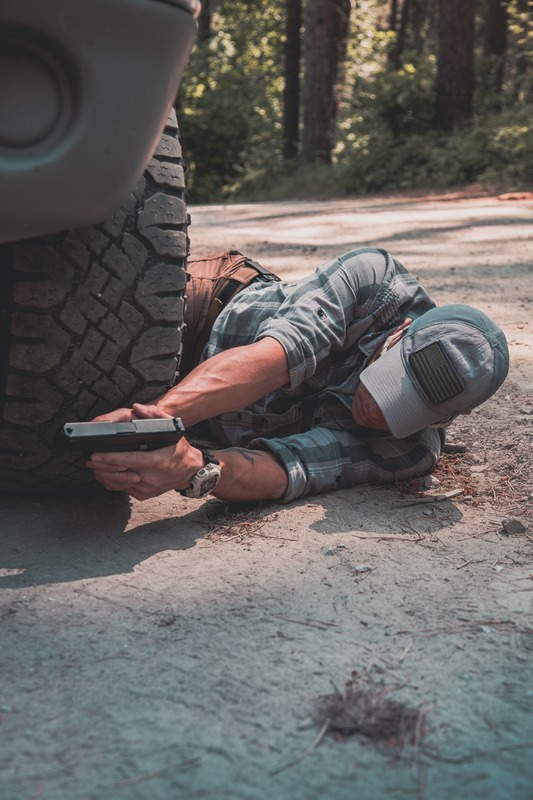 It also means that there is zero gap around the trigger guard, preventing any foreign objects from contacting the trigger inadvertently. 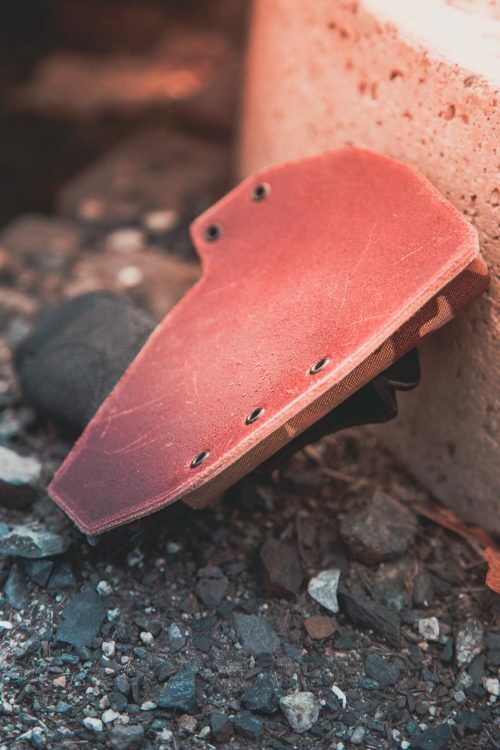 The Solace is backed with a hand beveled 7oz American full grain cowhide. The leather is hand beveled and burnished for a smooth, comfortable backer finish. 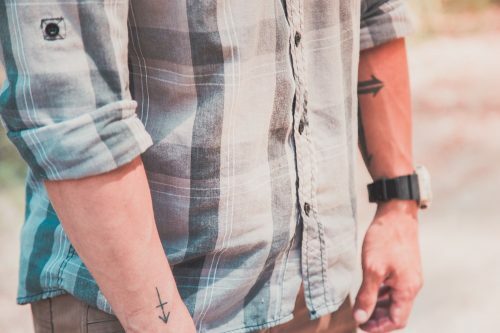 This leather will withstand years of sweat and wear. 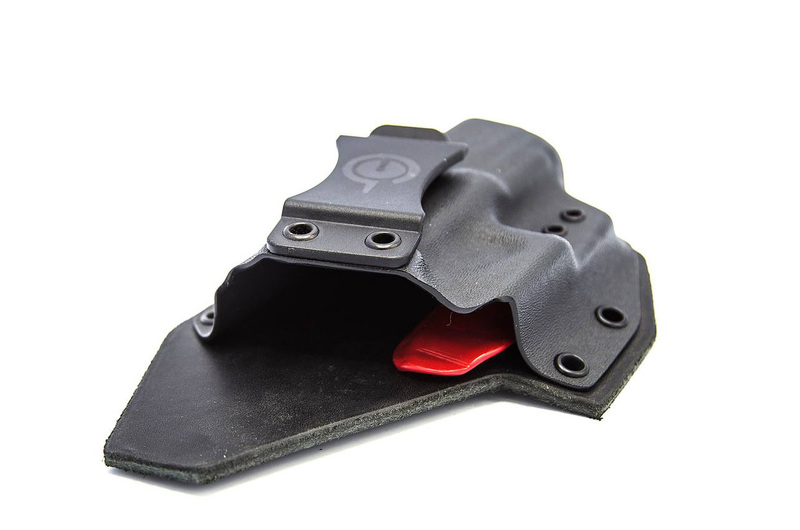 Using the power of CAD design we have biased the firearm to the front of the kydex shell. This eliminates pressure points against the hip and makes for a smooth, bulge free profile against the skin. This also helps with maintain a consistent draw pressure, regardless of belt tension. The Solace was designed to be as low-profile and unobtrusive as possible. 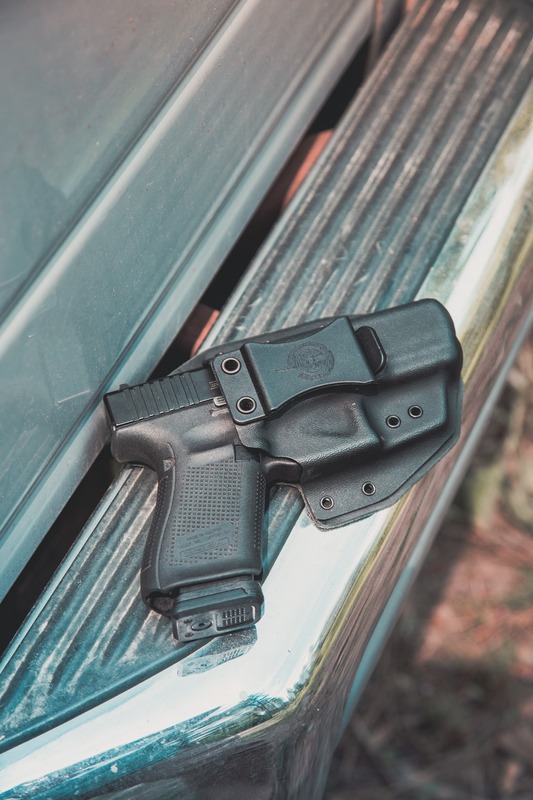 Unlike most hybrid holsters, the Solace has a footprint not much larger than the firearm, more in line with a “taco IWB” style Holster, like our Wraith. We have shrunk the holster down to the smallest size possible, using minimalist rivets and holding the tightest tolerances to the gun as possible.